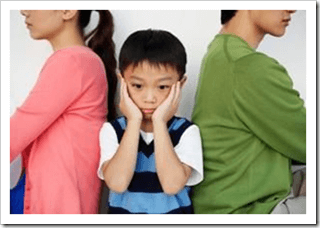 Is It Divorce – Or Parental Conflict – That Most Damages Children? So often I am asked: Is it divorce or parental discord that most damages children? More and more evidence points at the attitude of the parents being most influential on the outcome for innocent children. Many studies I’ve read about over the past decade all come to the agreement that children are more negatively impacted by parental conflict than by divorce itself. Numerous articles by marriage and family therapist Ruth Bettelheim address this topic in ways that are both relevant and, quite surprising for many. That’s because she refutes common misconceptions about divorce and addresses the real issues of concern. That is the foundation of a Child-Centered Divorce. My supporters and I have long contended that: it is not divorce per se but the way parents handle divorce that harms their children. From time to time I am contacted by emotionally charged parents who are vehemently “anti-divorce.” While they acknowledge I am well-meaning in my efforts, they point their finger at divorced parents and blame them unequivocally for destroying their children’s lives. In reality, life is not black and white, nor are the consequences of divorce. While I certainly do not advocate divorce as a solution to marital discord, in many cases it’s a saner solution than living together in a toxic marriage. I speak from experience when I say this because I am a child of parents who should have divorced – and didn’t. The emotional scarring I experienced is basically the same as felt by children of parents who make damaging divorce mistakes. The insecurity, lack of self-esteem, anxiety, depression, sadness, guilt and shame I carried through my childhood were the consequences of parents so caught up in their emotional drama they had little awareness of what their turmoil was creating for their children. Divorced or not, when we make decisions that that don’t take children’s fragile psyches into account, the outcome is painful for those children! The truth is, all children need and deserve peace between their parents. Let’s focus less on judgmental, self-righteous finger-pointing and more on educating all parents about harmonious, effective co-parenting – and we’ll all be better off! If you want to explore the benefits of divorce or co-parenting coaching regarding issues related to parenting, contact me to learn more or click the COACHING button at http://www.childcentereddivore.com. Rosalind Sedacca, CDC is a Divorce & Parenting Coach, Founder of the Child-Centered Divorce Network and author of How Do I Tell the Kids about the Divorce? A Create-a-Storybook Guide to Preparing Your Children — With Love! To learn about Rosalind’s coaching services, books and programs for effective co-parenting as well as other valuable resources visit helpful divorce resources.